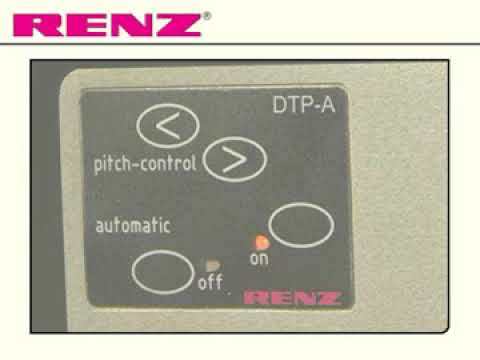 The RENZ DTP 340 A is a semi automatic desk top punching machine with automatic ejection into a paper. Semi Automatic Punching : The semi automatic system developed by RENZ, creates an entirely new class of machines. It is the first punching system to feature ease of operation, high output speeds, and flexibility at an economical price. An example of how you can save time and money with the DTP 340A. If punching books in A4 format, (60 sheets/80gsm), then using traditional punching you could expect to produce approximately 70-100 books/hr. With the DTP 340 A in semi-automatic mode (depending on the operator) approximately 300 to 350 books/hr could be produced. The fastest punching system in its class.